I have tried to regain momentum in blogging a couple times before. The problem is I think I took on too much, too fast. This time around I want to keep things simple. I want to share what is on my heart and mind. I want to encourage you. I just don’t want to drain myself in the process. So for now I will just be posting once a week. I would also like to invite you to join me in prayer as I begin writing my very first bible study. This will be a study on obedience and seeking the Lord. This idea is one that has been a seed planted in my heart for awhile now. It was only yesterday though I began to see what that seed was growing into. It has really grown out of my desire to find a study to help guide and teach my young children what it looks like to obey. See we can tell them we want them to obey ourselves or God all we want, but unless we reach their hearts and show them what healthy God-fearing obedience looks like they will fall short. So if you are here today reading this I thank you. I thank you that you haven’t completely given up on me. I thank you for your patience, as I seemingly disappeared and got myself together. This entry was posted in Bible, Children and tagged Bible, bible study, Children on October 29, 2014 by Sara R.
I have not stopped giving thanks for you, remembering you in my prayers. I keep asking that the God of our Lord Jesus Christ, the glorious Father, may give you the spirit of wisdom and revelation, so that you may know him better. As I read through this several things stand out to me. One is that God is thankful for us. Granted Paul is the author of this book but the bible is also God’s love letter to us. Keeping with the idea that Paul was the author I also took note of somethings about Paul’s behavior. He was prayerful, thankful, and used prayer to express his gratitude to God. Paul also used prayer to request wisdom and revelation for those he was thankful for. These observations led me to some personal revelations, revelations that I pray will bring a greater peace, contentment, and thankfulness to my life. Daily I need to remember to thank God for my family, friends, home, garden, animals, the sunshine, and the rain. Expanding on that idea even just a little further I am going to start a gratitude journal. 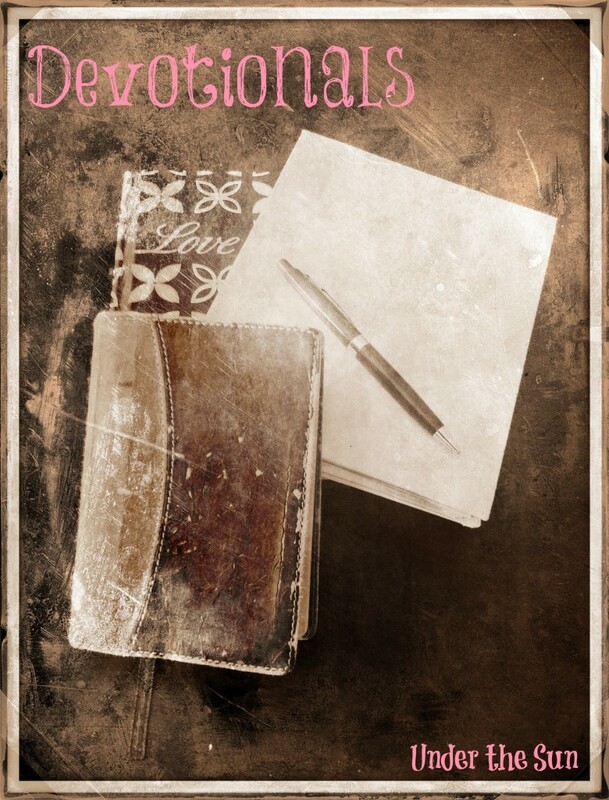 The beauty of such journal is that is looks differently for different people, but I highly recommend everyone start one. I also need to actively pray for those I love to be drawn closer to God. Thank you for loving me. Seeking me and never giving up on me. Help me to see everyone in my life the way you do. As I pray for those around me to have wisdom, revelation, and a closer walk with you so then may I grow in those areas too. This entry was posted in Bible and tagged Bible, bible study, devotions, God, Thankfulness on August 4, 2014 by Sara R.
For this reason, ever since I heard about your faith in the Lord Jesus and your love for all the saints, I have not stopped giving thanks for you, remembering you in my prayers. As I read through this verse I found it important to not Paul is grateful that the Ephesians have faith in God and that they love the Lord’s workers. It is important to note that Paul thanks God for them, and is praying for them. After reading through these verses I feel convicted that it is important that I need to spend time praying for those in my life who love God’s people and for those who are discovering their faith in you. I also feel led to befriend more people who love the Lord and who are serving him. I just pray you would reveal to me who in my life really loves you and loves your people. Help me to see them so that I may surround them with prayer. This entry was posted in Bible and tagged Bible, bible study, prayer on July 21, 2014 by Sara R.
If you have joined me in the past you know I am no theologian. I am a simple house wife and mother who loves the Lord and desires to follow his leading. So as I begin this new series of posts, devotionals really, I want you to know I am still learning and growing in my understanding of scripture. What you will be seeing is my observations, and practical ways I hope to apply what I am seeing to my life. That said you might see somwthing I don’t or would apply something differently than I would. I welcome your feedback/ insights. Leave them in the comment section below. I don’t have a catchy name for this series. It was born simply from trying to lead a group of ladies through daily devotionals. This way I hope to help others grow in the word, but at a pace that works with the busy lives of mothers. This entry was posted in Bible and tagged Bible, bible study on July 14, 2014 by Sara R.
This weekend I didn’t get as much done around here as I could have. The only project I helped with didn’t see my help till it was almost done. If you had stopped by last night around 9 pm, you would have found me standing in a large fish tank, attempting to smooth wrinkles in the lining, as the garden hose filled it. 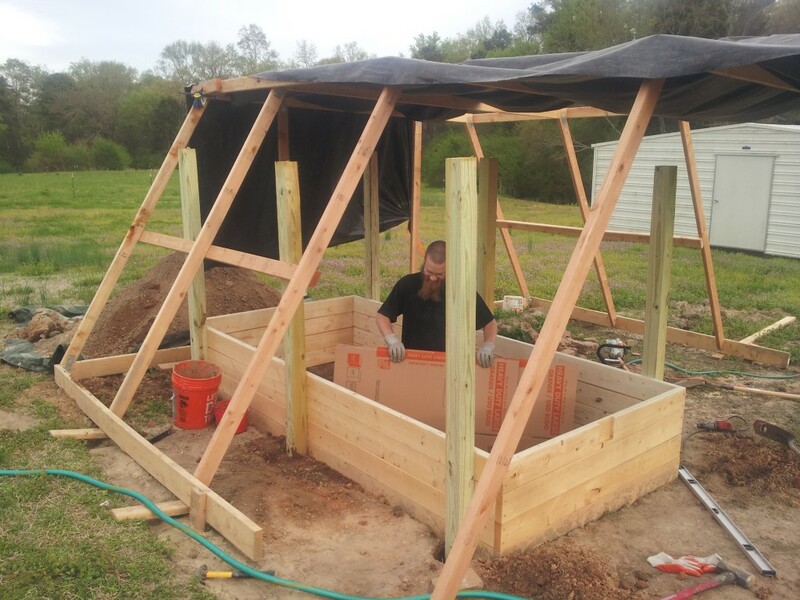 See the husband has been working on developing an aquaponics gardening system for the large green house and I was doing my part to help out last night. The hubby busy building and assembling the fish tank. The only other major things I did around the house this weekend involved my kitchen, the cooking and cleaning of it. Well that and cupcakes. My sweet sister-in-law turned 20 and I made red velvet cheesecake stuffed cupcakes for her. See the reason I didn’t step outside the kitchen much and do more work around the property is simple, I stepped outside the kitchen and did something better with my time. I chose to spend time with the Lord. “Martha, Martha,” the Lord answered, “you are worried and upset about many things, but few things are needed—or indeed only one. Mary has chosen what is better, and it will not be taken away from her.” Luke 10: 41-42 See this weekend I was a little more Mary and a little less Martha. I chose what was better. I chose to spend time with my Lord, learning about my Lord, deepening my walk with him, and walking away refreshed. I went to a women’s conference hosted by my church. 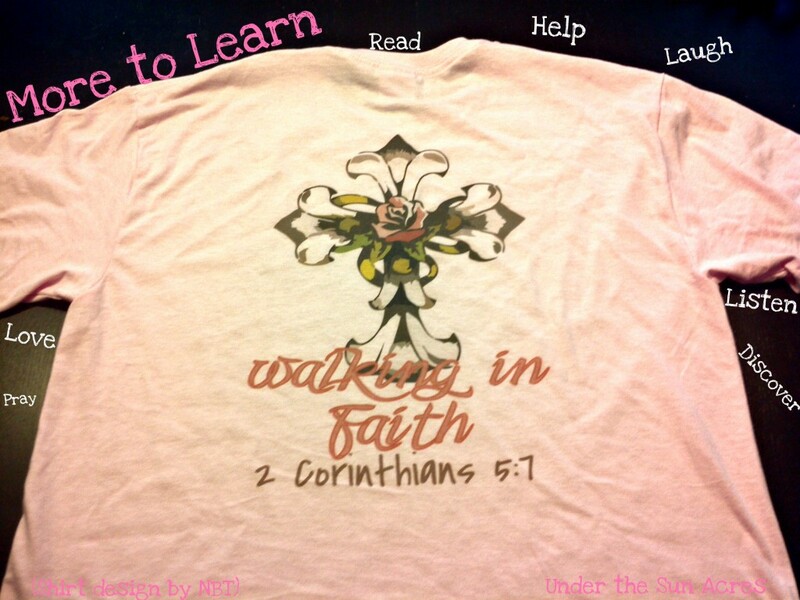 The topic: Walking In Faith. I learned many things, and I was reminded of many things. You are never too old or too young to be used by the Lord. We just need to ask the Holy Spirit to come and do work in our lives. Don’t judge who you are, by how you are. In other words our worth is not defined by our choices or our circumstances, but rather by the love of our Creator. And those are just a couple of the nuggets that touched my heart. Pay attention to the world around you, God’s beauty is everywhere. Listen. People in our lives need us to listen. Learn. Read. Discover New things. Want to feel better? Laugh. Love. We all could use more love. As the confrence wrapped up and I was listening to the closing music and reflecting on what the Lord laid upon my heart, I penned my final thoughts. I need more laughter in my life. This entry was posted in Bible, Life and tagged God, Life, Love, Relationships on April 14, 2014 by Sara R.
Have you ever met a person that seemed no matter their circumstance to be full of joy? I have been accused of being that person. I say accused because I am not sure I am as full of joy as I might like to be or even should be. Perhaps it is all a process and all I can do is to press on and strive to be more like the one who has saved my soul. So today the wisdom I share with you is wisdom I am still learning. It is not my own wisdom that I seek to share, and I am writing to remind myself as much as anything else, today. “As the Father has loved me, so have I loved you. Now remain in my love. If you keep my commands, you will remain in my love, just as I have kept my Father’s commands and remain in his love. I have told you this so that my joy may be in you and that your joy may be complete.” John 15: 9-11 Here we see Jesus instructing us to keep his commands and in doing so we will remain in his love. It is through him and his love that we discover joy and that our joy can be made complete. To find out what Jesus commands of us all we must do is go to: Matthew 22: 36-40. “‘Teacher, which is the greatest commandment in the Law?’ Jesus replied: ‘Love the Lord your God with all your heart and with all your soul and with all your mind.’ This is the first and greatest commandment. And the second is like it: ‘Love your neighbor as yourself.’ All the Law and the Prophets hang on these two commandments.” It won’t always be easy to love your neighbor as yourself, but it will be worth it. Tough times will come and you may question how God could even be a loving God, and then you might even begin to wonder how you could love God when it doesn’t even feel like he loves you. But he does love you. He loves you so much that he has something better in mind for you, for each of us. “For God so loved the world that he gave his one and only Son, that whoever believes in him shall not perish but have eternal life.” John 3:16 So even though we live in this world that is broken and filled with pain and sin, God loves us enough to offer us a path to his salvation. All we need to do is accept Jesus. It is through these three truths that we can begin to discover a deep and lasting joy. This is a joy that no one can steal from you. It will not be dependent on your circumstances, but rather you can radiate this joy even in the toughest of times. 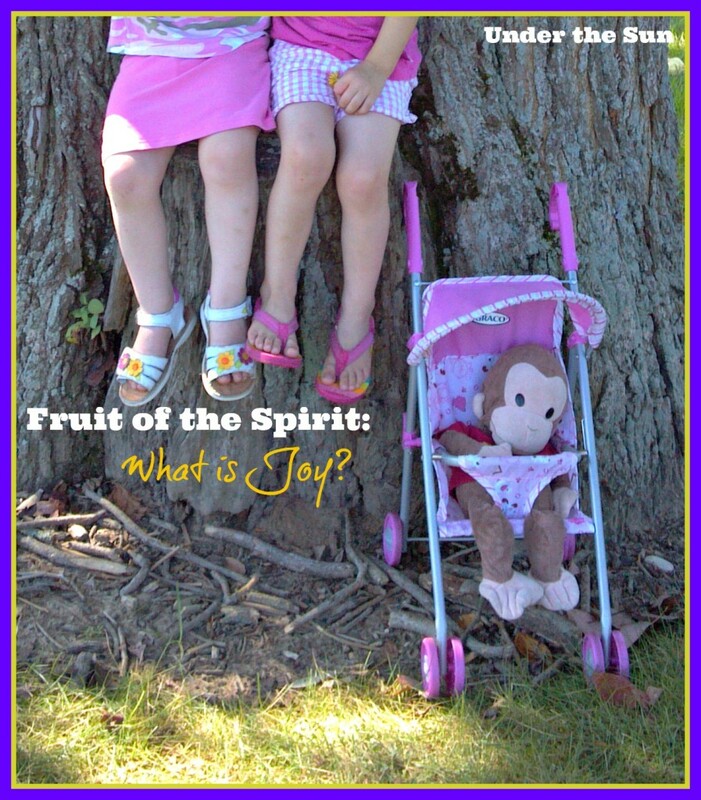 This entry was posted in Bible and tagged Bible, God, Jesus, Life on March 10, 2014 by Sara R.
Fruit of The Spirit: What is Joy? The Lord calls to his people and tells them to be joyful, to be full of joy, but what is joy? A simple search of the bible leads to 242 references to joy. Realizing this it can become rather overwhelming to dissect what is joy. This can be further complicated with a simple search around the web. The more you dive in quotes the more complicated and messy it seems to get. A look at Websters or a Google search for quotes on joy seem to give the impression that joy is happiness. A look at the quote from DL Moody or even a look at all the various scripture verses containing joy seem to give another picture. This entry was posted in Bible, Life and tagged Bible, God, Jesus, Joy on February 24, 2014 by Sara R.
Who is your neighbor? Look around. See that person sitting across from you? They are your neighbor. That lady who takes care of your children in day care? She is your neighbor. That person who just gets under your skin? They are your neighbor too. Every one who is not the Lord or you, is your neighbor. So when in Matthew 22: 36-40, Jesus says, “To love your neighbor as yourself.” These are the people he has in mind, who ever it is that you interact with and in within your sphere of influence. Jesus further addresses the issue of who is our neighbor in the tale of the Good Samaritan (Luke 10 25-37.) He further points out that not only who is our neighbor but how we must act to be considered a neighbor, ourselves. We need to reach out and help those in need. This is not a post to tell you, that you need to donate more money to St Jude’s Children’s Hospital, or that you need to go on a mission’s trip halfway around the world. Or even anything else that could be considered big. While the grande acts are helpful, and even worthy to consider, this is not what I want to reflect on. I want us to look at the small everyday things we could be doing to help those in need. Consider for a moment the homeless you see daily (in some parts of the country.) Are you meeting their gaze and treating them like human beings? Or do you divert your eyes and pretend they don’t even exist? Have you ever considered offering them a sandwich or fruit? I even once offered to take one young woman to the grocery store to buy the things she said she didn’t have the money for. It wasn’t much, but if she had taken me up on my offer it would have been food for her kid’s lunches. Helping them can be simply recognizing they exist, and seeing if you could help them find their way to a shelter or a program, where you know the people really care. Or consider the young military wife and mother in your community. Chances are when her husband deploys, if she stays in the area, she will need help at some point and will not have family to lean on in the area. Don’t just give a general well I am here if you need me. While she might appreciate the offer, most these ladies are tough and don’t know who is willing to help. Instead call her up this week and tell her you are willing to babysit for a couple of hours. She can nap, go get her nails done, clean the house, or maybe just grocery shop without little extra hands. Those precious moments when another set of hands is there to help will help her to feel that she is connected and people care. And trust me she needs that. Then again if babysitting is not your thing maybe you could arrange to bless her with a meal she didn’t have to cook. When was the last time you reached out to the new people at church? It doesn’t matter if it turns out they aren’t that new, still reach out. Introduce yourself. Meet new people. You never know what it will mean exactly to the person you are reaching out to. That person could be the painfully shy type and have no idea how to reach out to meet new people. Your introduction might be just what they need to start meeting their new community. These are just a few scenarios. My point in these is this: think outside the box. Who can you help? Whose walk needs shoveling? Who could use a meal ministry this week? Who simply needs you to say hello? Reach out and act with loving respect and be the neighbor you were called to be. 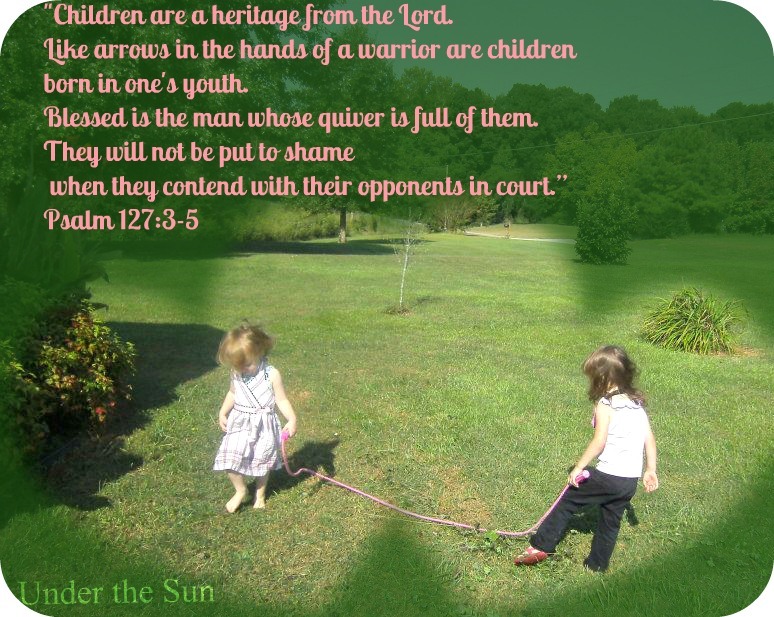 This entry was posted in Bible, Life on February 17, 2014 by Sara R.
From these three verses it is clear what the Lord expects from parents. What is not clear is how we implement these truths. That there, is the beauty of the deal. There are many ways to raise your children in a Godly, loving home, and still seek after the truth of these three verses. Whether you homeschool or send your children to the local school, you are still doing the best job you know how. Maybe instead you did CIO or maybe you co-slept. Maybe you used formula or maybe you were a mother who did extended breastfeeding. There is no winner and no loser. One parent is not better than the other. We are each doing the best job we know how to do, but still there are a few things that EVERY Christian parent should be seeking to do with their children. Colossians 3:21 tells us though that no matter our choices we still need to speak love into the lives of our children. Our children have tender hearts. They are seeking love and approval. Clay Clarkson in his book, Educating the WholeHearted Child — Third Edition , says, “God has designed your children’s hearts to expect love from their parents. When they don’t receive familial and parental love, it is a kind of neglect of their spiritual and emotional nourishment, in the same way that not receiving food would neglect their physical nourishment. 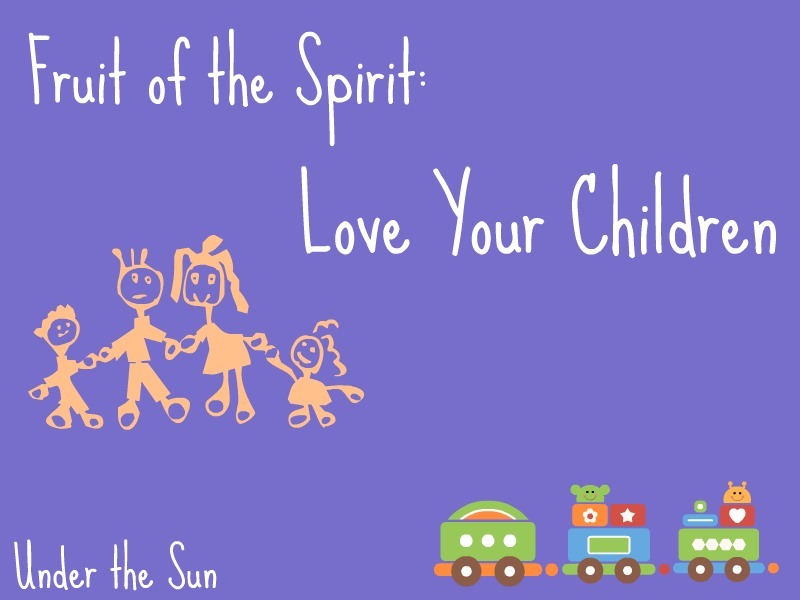 A child whose need for love is neglected will begin to close their heart and emotions out of self-protection.” See though you don’t have to embitter, as the bible says, or neglect their spiritual and emotional nourishment, as Clay describes it. Instead encourage them, express your love in words, hug them, and show them just how much you value them. Are your actions matching your words? Deuteronomy 6:6-9 clearly expresses that we need to teach our children what the bible has to say to them. We can not do that though if first we are not seeking the knowledge ourselves. 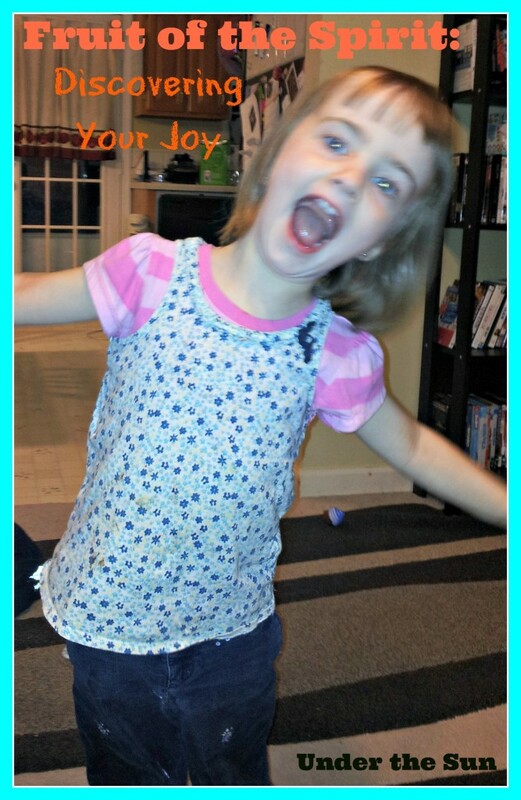 Live a life that you would be proud for your child to imitate. Are you spending time reading and learning from the Lord each day? Do praise and worship songs fill the air of your home? (They need not be the only songs, but are they given any air time?) Our children are aware if what we are preaching is matching up to the life we are leading. We don’t need to do everything perfectly, but we need to continue to grow in the Lord. Even in our mistakes they can learn much. But it doesn’t stop there. Are you spending time reading to them, and teaching them how to apply what they read to their lives? Guide them. They need us to be an active guide, not just modeling the behavior we expect, but teaching them how to find the answers for themselves as well. Psalm 127:3-5 Is a reminder that I have written on the black board by my laundry room. Our children are one of the great gifts that the Lord has to offer. Yes there will be days they challenge you. Parenting seems to stretch you in ways you never realized you needed stretching, and when the days get long and your patience gets thin, it can be easy to forget they are a gift from the Lord. So today I remind you to breathe and tell yourself that the Lord gifted these children to you. He didn’t bring them to anyone other than you. God saw to it that you would be the parent to your child. Appreciate that for a moment. He has trusted you with his workmanship (Ephesians 2:10,) his sons [and daughters] (Galatians 3:26-27.) It is that reason I have Psalm 127:3 wrote in large letters in my home, so when my patience runs thin I can remember that they are his gift to me. And your children are the Lord’s gift to you. This entry was posted in Bible, Children and tagged Bible, Children, God, Jesus, Kids, Love on February 10, 2014 by Sara R.
There it is two of the hottest and scariest topics to ever bring up in conversation in this culture, especially if you adhere to those ideas. A couple of weeks ago a friend and I were talking and I said, “Yes I am all for submission in marriage.” That is a far as I could get and her eyes got wide, and her jaw dropped, just a little. I could read her face that she had whole host of things to say in response, but before she could get there I stopped a moment and asked her to hear me out follow me with this a moment and that is what I am asking you to do. Follow me with this a moment and if you disagree or have questions when I am done I am here to listen. 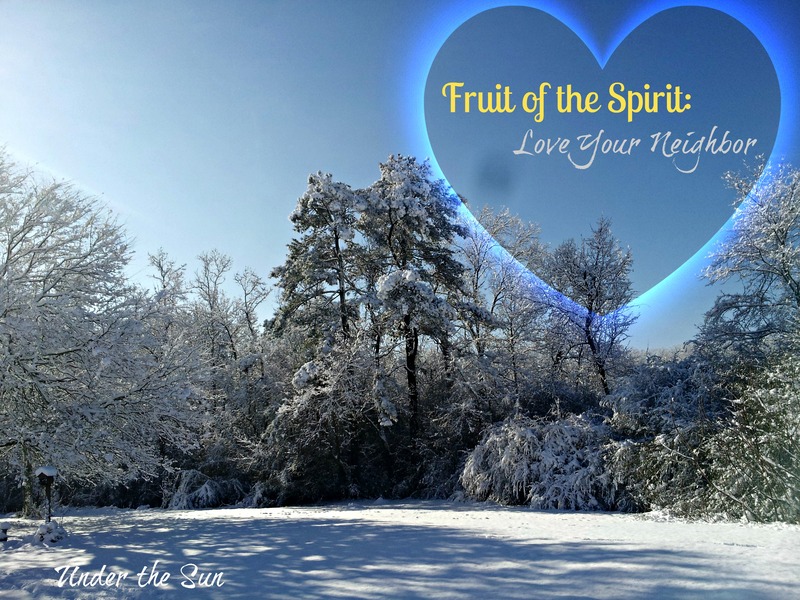 You are also probably wondering how these topics relate to love and ultimately fruit of the spirit. It is my sincere and heart-felt belief that it is through submission and respect toward our husbands that we demonstrate the kind of love that God is calling us toward in our marriages. I understand in this modern age we want to be independent woman. We want to be strong. We want to have it all, and we want to prove we are equal to men. These verses apply to even the most independent and modern of women today. God is not calling us to a position of weakness, but rather love and honor. I heard someone talk about submission once in the context of the military chain of command. Imagine for the moment that God has made your husband the captain, or the CO, of your household, and you, the wife, second in command or the XO. Does your husband’s position negate the authority of yours? No, you are still a strong capable woman who has years of experience that you bring to this position. You are the one he can trust to take care of things in his stead. You are the one he can turn to, to help him sort through difficult decisions. Your husband may even defer to your expertise in many areas of decision-making. But the Lord has said that as the husband he is still the head of the household. What does that mean then? It means as the CO he is responsible for the decisions of the household, even if he deferred to your best judgement. He will be the one held accountable for the decisions of the household, even if you make them together. So when I say I submit to your husbands this is what I am saying, “Let him lead. Provide wise counsel, but let him lead.” You married this man. Trust him. Trust his judgement. Believe in him. Now I am not saying to let him lead you down the path of sin. You know what sin is, and you know how God feels about sin. God is an even higher authority than anyone here on earth. So as long as your husband’s leading lines up with scripture: Follow. So you if you two are disagreeing over say paint colors and not with issues of sin follow your husband’s lead. As the XO of our household’s it is also our responsibility to be respectful toward our husband’s. Now some of you may be arguing right about now that my husband doesn’t deserve my respect. When he acts in a particular way then I will so him respect. 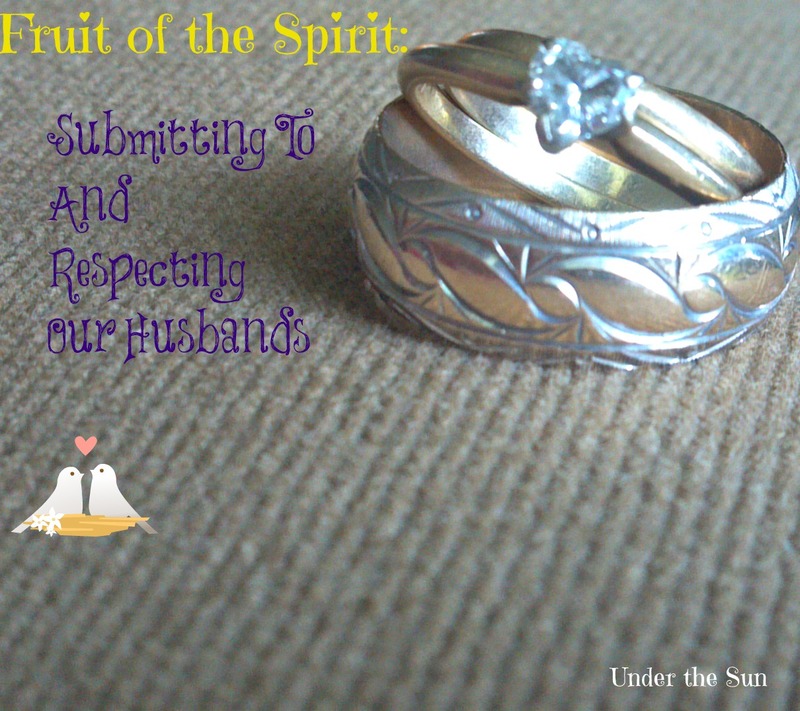 If we refer back to Ephesians 5:33 we will see that we are not told to respect our husbands some of the time, when we feel like it, or even when he earns our respect. The wife is told to respect her husband, no conditions or pre-requisites, just unconditional respect. What does that look like? It looks like no longer airing his ‘offenses’ to any and every listening ear. It means standing up for him when someone asks well how do you possibly deal with that sort of behavior. (He is a grown man, capable of making his own decisions, and he just likes to have fun.) It means extending him trust. Respect is bragging about his accomplishments and working together behind the scenes to fix the rough patches. It means stop nagging, and start asking. It means all that and so much more. Ladies what can you do today that would be a little more respectful than you did yesterday? In what ways could you let your husband lead the household a bit more? This entry was posted in Bible, Life, Marriage and tagged Bible, God, Life, Love, Marriage on February 3, 2014 by Sara R.